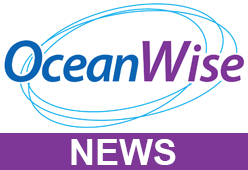 OceanWise > News > Uncategorised > OceanWise Workshop Bigger and Better than ever! The OceanWise annual Marine Data Management and GIS Workshop took place on the 27th and was bigger and better than ever, attracting delegates from across the marine industry. This free event, which is hosted annually by OceanWise, is provided as a service for OceanWise customers and partners and for anyone with an interest in marine data or marine GIS. The event provides a forum for topical presentations and networking and often kick starts important discussions around marine data developments, technological advancements and GIS implementation. The 2018 workshop, which received its highest ever number of registrants (80+), included a mixed agenda of high level, thought provoking presentations and some more in-depth technical case studies. The audience enjoyed key note speech by Leigh Dodds from the Open Data Institute who discussed “Treating Data as Infrastructure” as well as an address from Martin Jones from the Cabinet Office on the Geospatial Commission and some excellent, motivational talks from Nick Lambert and Warren Vick. Next year’s event planning is already underway and will be held on the 26th November 2019 in London.